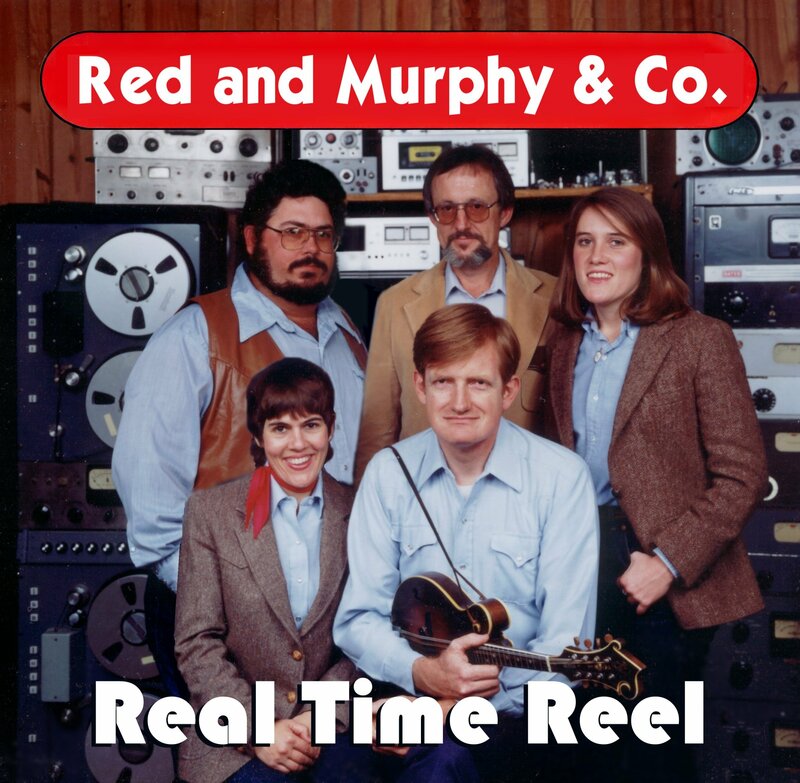 Real Time Reel - Red and Murphy and Company's seventh album, from 1985. This was the last vinyl LP Red and Murphy & Co would record. Red, Nancy, Tuck, and I were still the heart of the group, but our old friend Bob "Hig" Higginbotham had joined us on rhythm guitar. The times were a-changin'. After this recording, Nancy would move to Atlanta, and in 1986 Red and I and kids Casey and Chris would move to Winchester, Virginia. Having two kids, Casey and Chris, made it harder to write! Perhaps that's why we have only five originals on this album. But we continued to pull from the Monroe, Flatt and Scruggs, Stanley, Chubby Anthony catalog. We loved doing our originals songs, but we felt compelled to demonstrate that we had done our homework, had studied those original recordings in depth, and really knew how to pick this music! Red and I might have been college educated and raised "white collar," but we sure felt like we had "redneck in our souls," to borrow one of my own lines!